Are you motivated to excel, excited to compete and collaborate, ready to go beyond your limits? You may be one the distinguished graduate students who are capable of contributing to the achievements of our research group. Most of the students in our group are receiving scholarships from NSERC, AIF and iCore. Who won the Games Category of the Imagine Cup Competition in Canada The team will compete in the semifinals by the end of May. Best wishes to Team World Painters and hope they will repeat the last year's success in the World Finals in Seattle in July 2014. The Canadian Open Data Experience (CODE) is the first nationwide Open Data Hackathon in Canada. An intense 48-hour coding sprint where innovators from coast to coast compete to build the best app utilizing federal government data from the Canadian Open Data Portal http://www.data.gc.ca. Congratulations to team Go2There for ranking first in the Imagine Camp competition which was organized on Saturday 15 March, 2014 by Microsoft Canada. Summer School "Foundation and Applications of Social Network Analysis and Mining"
1. Konstantinos Xylogiannopoulos received special recognition from the Eyes-High program at The University of Calgary and received a top-up award. 2. Tamer Jarada received double recognition as recipient of the AITF scholarship and the Eyes High International Doctoral Scholarship. 3. 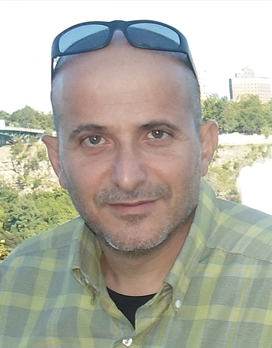 Omar Addam received the AITF scholarship for his PhD studies for the PhD program.